Is your family always on the go? With the busy lifestyles most families have today, your garage door may be constantly working to let you and others in and out of your home. In order to do this in a timely fashion day in and day out, maintenance is a must. The parts that keep your door functioning and as quietly as possible are bound to wear out over time. This can cause your door to slow down, and become frustratingly noisy. While you may think it's easier and cheaper to try to handle maintenance yourself, it's not that simple. The untrained eye might miss signs of larger issues to come, which will most certainly be far more costly later on. Our team knows what is just a simple case of needing some lubrication, as opposed to a part needing to be switched out altogether. Don't wait for that dreaded day to strike when your door refuses to open, and leaves you frantic to get to work and school on time! Let us tend to the upkeep now, and save you a headache later. Why maintain your door at all? You probably don't pause to think about it, but your garage door has hundreds of parts that all work together to make it operate. If one of these parts is even slightly jostled out of place, it can cause problems for the system as a whole. What does that mean for you? Lag time in how long it takes for it to open and close, the possibility of getting stuck half open without you knowing it, and a whole lot of noise. Rather than exposing the contents of your garage to thieves while you're away, make sure that you can rely on your door. We will happily ensure that everything is in the best shape possible so that you won't have to worry. This includes safety tests, which guarantee that your kids and pets will be able to come and go without fear. 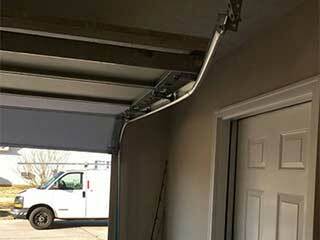 Don't wait for a catastrophic day in the making by letting your garage door go without maintenance. Garage Door Repair Woodland Hills's team is standing by, and ready to come whenever is best for you.